Home » Daily-Express-Health » Malaria WARNING issued by World Health Organization: Where are YOU at risk? Malaria is found in more than 100 countries, mainly in tropical regions of the world. It’s found in large areas of Africa, Asia, and South America. Central America, Haiti and the Dominican Republic have also reported cases of the disease. About 1,600 Brits returned to the UK after travelling, and were subsequently diagnosed with malaria in 2014. Three of them died. Symptoms of the condition include a fever, headaches, vomiting, diarrhoea and muscle pains, the NHS said. Progress in the fight against malaria has stalled, WHO warned, after the number of reported cases rose five million in 2016. While the number of deaths remained largely similar, at 445,000, the WHO said said antimalarial efforts risked going backwards with the current, insufficient level of funding. Annual malaria cases and deaths had to fall by at least 40 per cent by the year 2020, for global targets to be met, it said. 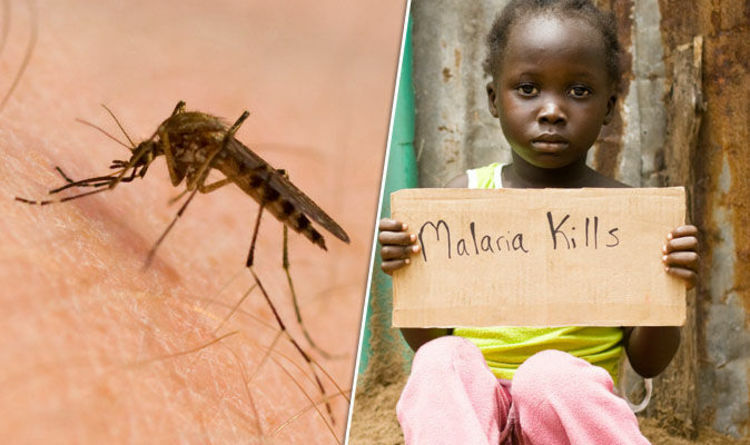 Ninety per cent of malaria cases and deaths occur in Africa, said the WHO. All but one country in sub-Saharan Africa carried 80 per cent of the global malaria burden. “In recent years, we have made major gains in the fight against malaria,” said WHO Director General, Dr Tedros Adhanom Ghebreyesus. “We are now at a turning point. Without urgent action, we risk going backwards, and missing the global malaria targets for 2020 and beyond. Director of the Global Malaria Programme, Dr Pedro Alonso, added: “We are at a crossroads in the response to malaria. “Meeting the global malaria targets will only be possible through greater investment and expanded coverage of core tools that prevent, diagnose and treat malaria. The WHO’s World Malaria Report 2017, released on November 29, would hopefully serve as a wake-up call to the global health community, Alonso said. Just over £2 billion ($2.07 billion) was invested in malaria control and elimination efforts globally last year, it said. An estimated £4.85 billion ($6.5 billion) was needed annually by 2020 to meet targets of the WHO global malaria strategy. The US was the largest international funder of malaria control programmes in 2016, contributing 38 per cent of total global investments. The UK, France, Germany and Japan were also major donors, the WHO added.